Home - World Axiom Ltd. The relaxation and positive energy you get from creating something from a recipe you followed or your own path is amazing! Try out one of our How-To receipes and create your own feelings of fulfillment. How to Make a Sugar Body Scrub that is perfect for Spring! How to make a soothing Aloe Vera face wash using only 3 ingredients! How to Make a Natural Anti-Aging Eye Serum! A DIY Anti-Aging Natural Face Cream! What Do We Do in Our Free Time? At World Axiom, we love working on crafts at our table or doing projects at our garage workbench. But before we had our pegboards and pegboard accessories we had no way to organize our bags and bags of supplies! 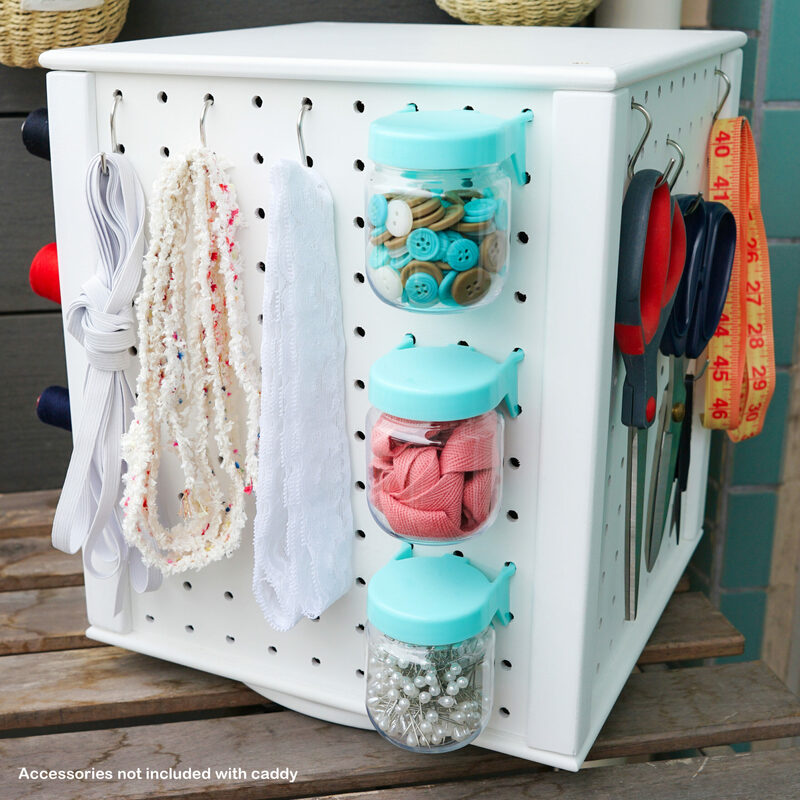 We have designed a variety of pegboard accessories to help store and organize our piles and piles of fabrics, buttons accessories etc. 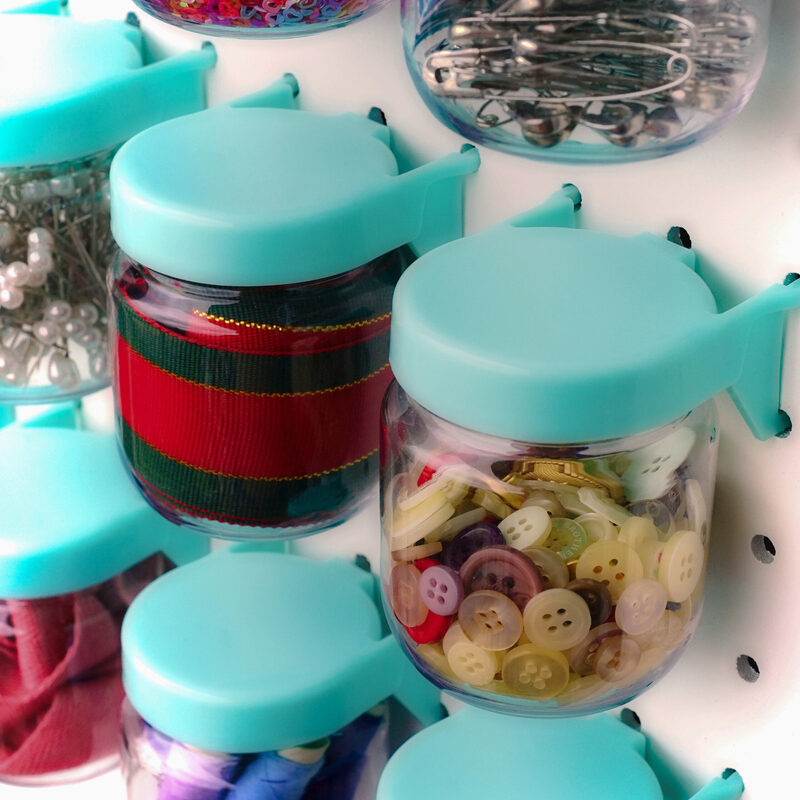 Our pegboard jars and caddy​ work together to maximize your storage space. We are developing even more products to maximize workplace organization. Our patent pending hook and latch system allows our products to be repositioned on the pegboard as needs demand. No longer will you pull the hanger off the board when you remove an item. Our hangers stay put until you want to move them. From the beginning sewing enthusiast up through the skilled professional seamstress, the World Axiom sewing center offers information to all. We don’t just post about our products, we use them every day and use what we have learned to help you. Our step by step “how to” videos for embroidery, sewing clothes, and quilting, are examples of such help. We sometimes review non-World Axiom items because we want to help our customers improve their skills and have found other great items we think will do just that. Our goal is always to help you build your skills!